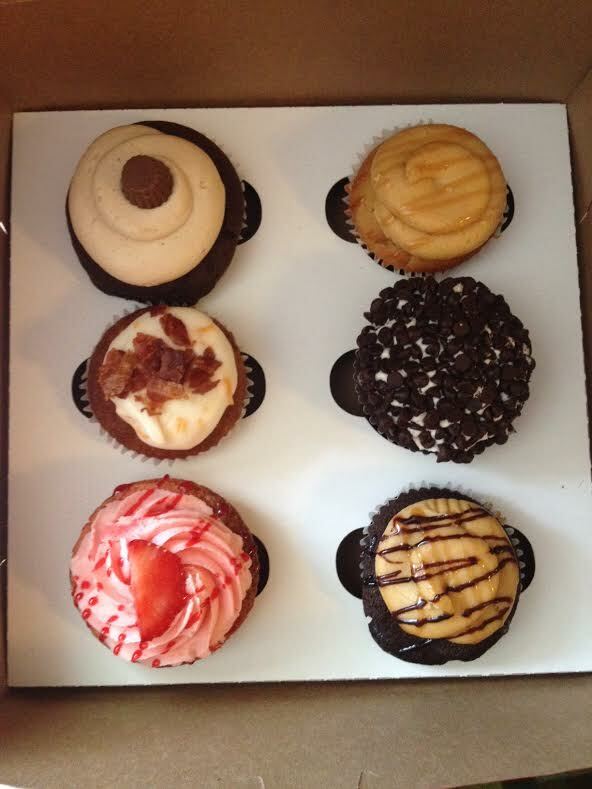 We went to the Sweet Divine Cupcake bakery in Soulard on Saturday. Yep, that’s bacon on top of one of those cupcakes! So far we have eaten the strawberry, the peanut butter cup, and the chocolate chip. The peanut butter one had a good icing, but the cake itself tasted bland and the cupcake was a bit stale. It was hard around the edges and stuck to the paper. The strawberry one was decent all around and even had strawberries inside. The chocolate chip one had good icing and its cake was better than the peanut butter one. A tiny bit of filling though and still kind of tasted old.